Cahors is a wonderful, large town. As you approach from the hills the whole place can be viewed from your perch like a giant map laid on a table. It nestles in a loop made by the River Lot, the older part of the city is clearly visible to the right (east) with its church spires and terracotta roofs. The Pont du Velentre is considered to be the finest, oldest fortified bridge in Europe and marks the exit point west for pilgrims. It’s a classic place to rest for a day with numerous establishments to drink, eat and partake in a little people watching. The French are a romantic lot, only yesterday I discreetly watched a couple taking coffee. The woman clearly was not too keen on coffee whilst the man didn’t have a sweet tooth. I watched discreetly, smiling, as he carefully placed a sugar cube on a spoon and dipped into his coffee, just enough to let the black liquid soak into the cube. Then he gently turned the spoon around and placed the little treat into his girlfriends mouth. 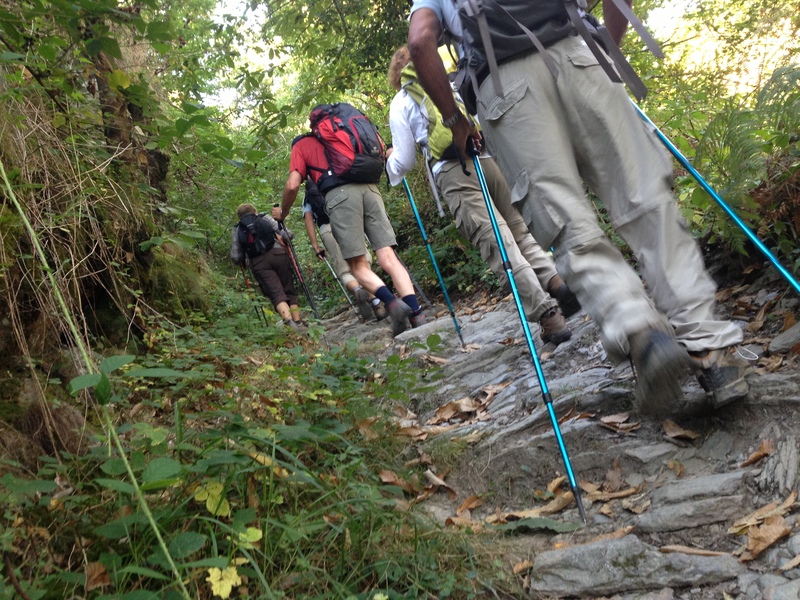 I have been walking with a regular group of pilgrims on and off for the last week. Thomas, a retired decorator from Switzerland. Patrick, a chef from Belgium. Joanna, a teacher from Australia. Charles, retired from Canada and a few others join and leave as they see fit. A couple of days rain caught me out this week. My last walk on El Camino saw little use of my wet weather gear but this time a trusted umbrella (GoLite) with a simple poncho (ZPacks) fended off a few down pours. Ponchos are the waterproof of choice out here. I don’t know why the Camino differs from other hikes in this respect but they are simple, quick and versatile. Grab from a side pocket, throw over ones head, do up a zip or a couple of press studs and you’re dry as well as covering the pack as well. My umbrella means I can also walk without the restriction of a hood. Both together have ensured I have stayed dry and comfortable. After a meagre, but tasty diet of vegetables, fruit, cheese and bread during my walk so far, The same restaurant I dined at last time here in Cahors was still nestled down a little side street. Thomas and I enjoyed a well earned meat feast and tucked into Steak Tartare (uncooked, minced steak and egg). Sounds disgusting but its wonderful. Followed by a steak in mushroom sauce and frites with chocolate cake and ice cream to finish. All washed down by copious quantities of Vin Rouge of course and I’m all set up for a lunch time exit today over the Pont Velentre. Ever onwards as Santiago calls. 1 – I heard there’s a lot of road walking ? It is true that a good proportion of El Camino follows existing roads. The route to Santiago sticks wherever possible to the original course. Some of these sections have changed into roads over the centuries. However, the vast majority are extremely quiet country lanes with very little traffic at all. Also, there is usually a worn path on grass to one side where countless pairs of boots have worn a trail. Do not expect busy main roads, traffic is minimal. 2 – Do many people walk El Camino each year? Yes and it does get crowded in sections. With a few books on this route and a recent film called The Way, the popularity of the trail has rocketed in recent years. It does depend on when you start and from where. 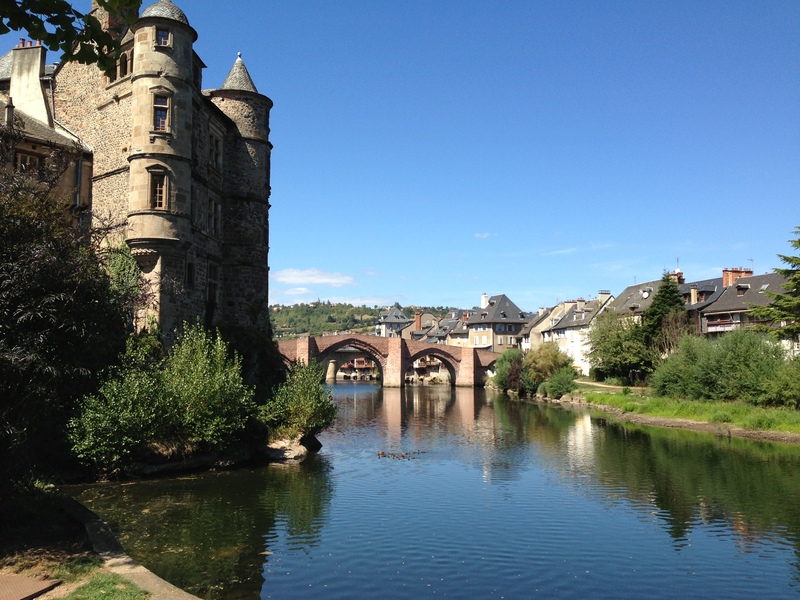 The main and most travelled route starts at St Jean pied de Port, near the French / Spanish border which is about 500 miles from Santiago. 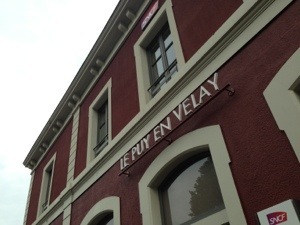 Many European routes converge on St Jean which are less busy such as the route I am walking from Le Puy en Velay in south central France. 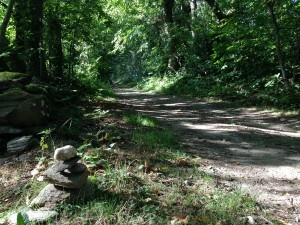 There is also a trail starting in Paris and even some other European countries, all of these are less crowded but when you do hit St Jean pied de Port it can get busy. Also, summer is peak time when most go to take it on. There are less people on the trail in Spring (around April) and in autumn (September on). 3 – How do I find my way? Is the trail well marked ? It’s incredibly well marked. 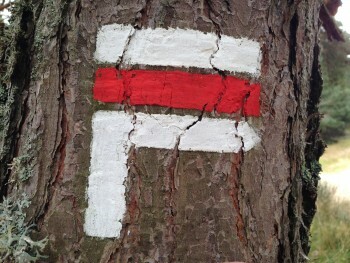 The red and white ‘Balises’, or markers are painted on trees, rocks, roads, buildings and other mediums along the way. They signify whether you should carry on straight, turn left or right or whether you have taken the wrong direction. It’s conceivable that the whole route can be followed just by the Balises alone. If you day dream once in a while, or are in conversation with someone you may miss one but then usually realise pretty quickly. 4 – Do I need a Guidebook ? It’s advisable for other information to take one of the numerous guides available, either in paperback format or downloaded to your smartphone. They provide directions obviously, the elevation changes, distances between towns, villages and cities and the amenities found there. Most list accommodations as well as providing phone numbers. A search on Amazon or similar will show what is available. 5 – Where do you sleep? 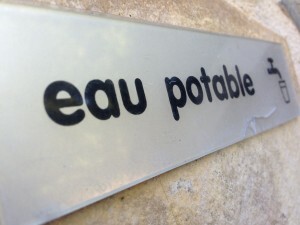 In France most people stay in Gite de Etapes. These are basic, dormitory style accommodations where you’ll get a bed in a room with others or sometimes a private room should you wish. They’ll have a shower, toilets, perhaps washing facilities for clothes, sometimes a dining and cooking area. Some may even provide an evening meal and / or breakfast. Mostly they are extreme clean, well run and cost about 10 to 14 Euros per night (£12 / $18). 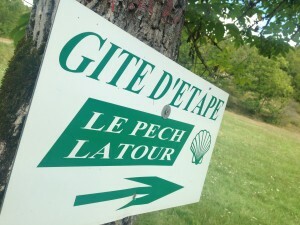 Also, some Gites are run on a donation only basis by volunteers, some of whom have already walked the trail and have returned to work there for a short time to give something back. These are where you can find some real gems. There are usually more basic, perhaps a little rough around the edges but you often find yourself sitting down to an evening meal in a rustic old town house with a few others. You may even have helped cook some of it or chipped in with the washing up after.They’ll be some red wine, excellent local food and they often make for the best memories. A lot are run by local religious groups. Donation only, or ‘Donativos’ as they are called mean you pay what you can afford to but is usually works out less than a normal Gite. You can of course camp. The French are keen campers and some towns have excellent camp sites with good amenities. Or pitch your tent discreetly along the way somewhere. After these options there are of course hotels. Most walkers stay in the Gites because the length of the trail and amount of time it takes to complete it mean cost is a major factor and Gites are fairly priced. In Spain the equivalent to the Gite is the refugio (refuge). These are nearly all run on a donation only basis and you will pass several each day. Generally they are of a lesser quality, some very basic indeed and more crowded. 6 – Whats the terrain like ? El Camino is a relatively easy walk. There are steep sections but of minimal duration. The hardest section from Le Puy is the first 200 miles or so, especially around the Aubrac plateau region but this tops out around 1200 metres. The rest of France is gently rolling countryside. Spain is flatter until you reach the region of Galicia, the last ‘state’ where it is a little more hilly but again, nothing a capable hiker wouldn’t manage. The toughest section is a climb up to El Cebreiro at about 1300 metres / 4300 feet. Much of the way follows country footpaths and tracks with a sandy / gritty texture and soil. It’s not usually wet or muddy. 7 – What’s the weather like in France and Spain ? During the summer south France experiences a typical Mediterranean climate which is hot and sunny with temperatures into the 30’s c. It is a dry heat with little humidity. Spain is drier and a little hotter. Walking in the spring and autumn means cooler temperatures with perhaps a little rain until around April / May and after October. 8 – I don’t speak French or Spanish, how will I communicate ? You can ways get by. Us Europeans don’t worry so much about language barriers but I often get asked this question when I am the USA. All you need is a few words to get by and you learn a little as you go. You will meet other hikers who do speak either French or Spanish who will help you but someone, somewhere will always speak English. It’s really nothing to worry about. 9 – Where does it start ? Most people walk the Spanish section, starting on the French side of the border from St Jean pied de Port where you cross the tail end of the Pyrenees mountains into Spain the first day. 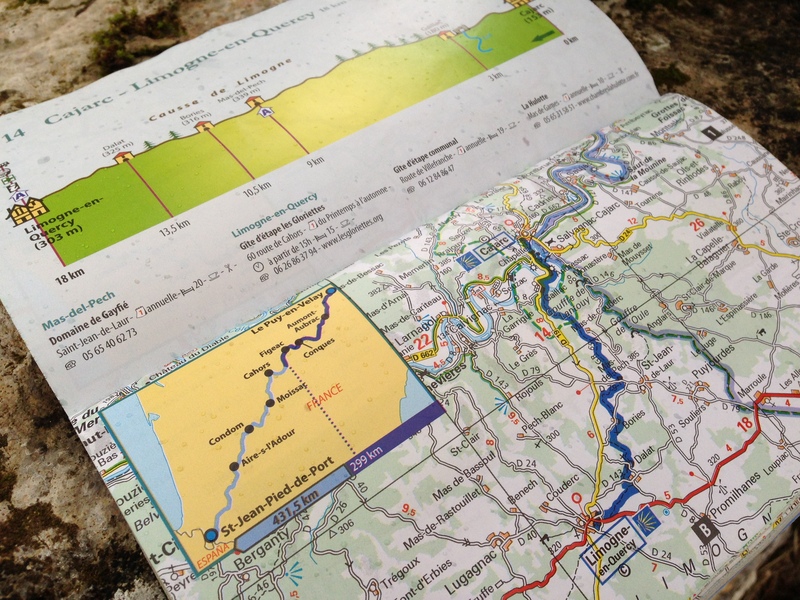 The route is about 500 miles to Santiago de Compostella. As I mentioned earlier, St Jean pied de Port see a convergence of trails from all over Eastern Europe. If 500 miles is not enough for you then pick another option from another of the many routes available. 10 – The food is weird though right ? No! Of course France and Spain have their own individual dishes but made from ingredients you will be familiar with. 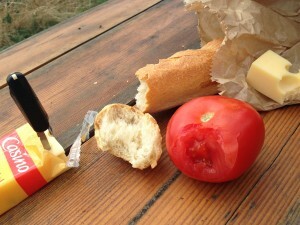 French cooking is arguably some of the best in the world and Spain also offers excellent cuisine. Staples such as potatoes, eggs, cheese, vegetables and fruit are available along with some less well known delights such as octopus and snails (yes, snails). 11 – Is this part of Europe expensive ? No. Some countries in Europe such as Switzerland are expensive but France and Spain are on par with GB and the USA. The larger towns and cities with tourists mean prices can be higher but also the smaller, more rural communities are cheaper. 12 – What’s the currency ? Both France and Spain use the Euro. It’s an easy currency to work with. 13 – When is the best time of year to walk it ? Many do El Camino during the cooler months around Spring (April on) and after September. The summers can be very hot. Tourist season finishes typically after August when most go back to work and the children back to school, it is quieter then. Autumn, after August, has cooler temperatures (but can still get hot) with some, but little rain. The autumnal colours are also wonderful. Galicia, the last area in Spain gets cold during the night with temperatures down to freezing in October but still wonderful during the day. 14 – Is it remote ? No, not at all. France has little villages and hamlets dotted along the way as does Spain. A section called the Meseta in Spain is more sparse but even there you will pass somewhere during the day to eat or stay. 15 – What is the re supply like, do I need to carry much food ? No. I usually carry a few supplies for say a lunch and maybe a staple such as rice for dinner. Re supply opportunities are numerous so weight can be kept to an absolute minimum. Most shops close from 13.00 to around 17.00 but are open before and after these times. 16 – What gear should I take ? In the summer all you need is a light t shirt and some shorts to walk in. The evenings remain warm, possibly a spare long sleeved top and trousers / pants can be kept clean for these times. I usually wash my walking gear in the evening at one of the Gites and it will be dry by morning. Couple of pairs of socks. During the cooler times of the year (March, April and September on) you may need a beanie or similar, possibly some gloves and a warmer jacket. 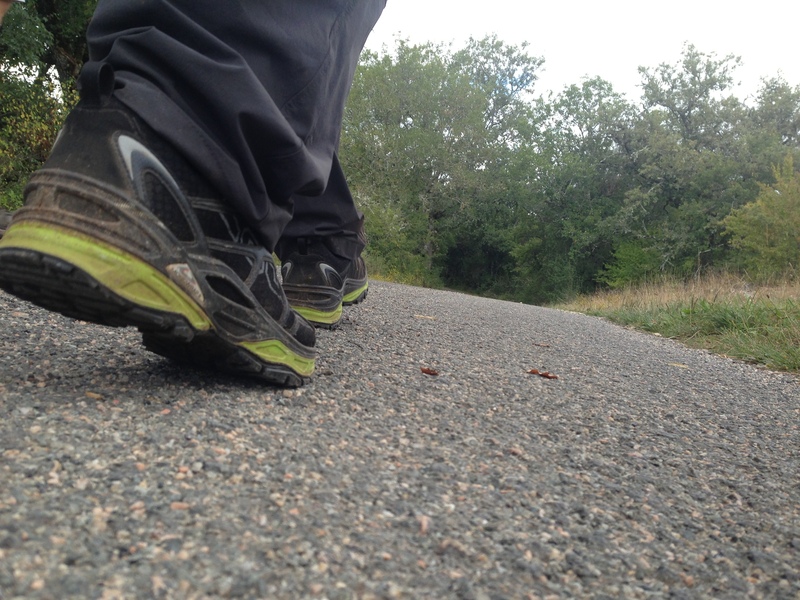 A spare pair of shoes / sandals are handy to get out of your hiking shoes in the evenings. 17 – Bears ? Any dangerous wildlife ? There is nothing in Europe that can really hurt you. Some remoter areas do still have bears but not on the Camimo. There are snakes but very few poisonous ones and even these are unlikely to be deadly. I have never seen a snake in Europe. You may occasionally get bitten by a mosquito but these too are rare. 18 – Is it hard to find water ? No. The Camino is littered with springs, taps (faucets) and similar along the route. Many houses have gone to the trouble of installing taps on outside walls for pilgrims, or just buy a coffee and they’ll fill your bottle. Tap water is drinkable in both France and Spain unless marked otherwise. There is no need even to take a filter unless you camp and get stuck between towns.